Since 2010, North Capitol Partners has used its project management and logistical expertise to serve its clients providing the most skilled and attentive staff to see to your relocation and project management needs. When you choose NCP, you choose not only a company that is capable of handling all your logistical needs but a company dedicated to your satisfaction with the job. Client service is first and foremost in all we do. 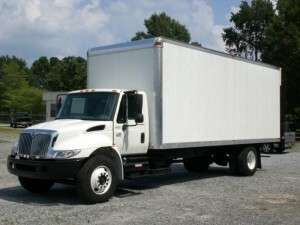 More than a moving company NCP is your total relocation services company. NCP provides a full range of services. In tandem with Move Management, for both the commercial and government sectors, NCP provides logistics, waste/debris removal, and construction clean up. NCP’s Project management, which includes budget development, project scheduling and coordination and onsite coordination, will identify missed opportunities to optimize your time and resources. NCP maximizes your company’s efficiency by handling the logistics of your project, minimizing your downtime. We at NCP know wasted time is wasted money. Our high-quality service, speed, and manageable pricing will see to the adeptness of your organization. Whether moving an office or an entire building – small business to large firms and governmental agencies – NCP will have you moved on time on schedule and on budget. With NCP coordinating your project, you can feel confident in all aspects. We recognize the sensitivity involved with moving your business’ information, assets and product; and our thoroughly trained staff knows the right methods and procedures to ensure that any associated risk is removed and proceeds securely.